Nice rectangular tire contoured foam sponges, perfect for applying Z-16 to your tires. Similar to those white cotton tipped things you buy at the drug store, but designed for detailing cars. Two different ends on each stix, one round and tapered to a point and the other flat and spoon shaped. Perfect for getting into impossible cracks and crevices. Our supplier calls this an extra soft car washing brush! However, I use it for washing my tires because it feels soft enough it won't hurt the rims. Surprisingly useful for when you need a razor blade but don't want to risk scratching. 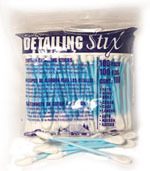 And at only $5.00 for a box of 100, you can't afford not to have these in your detailing box. Big, 4.5" diameter, easy to hold, round foam applicator. Perfect for hand application of mild compounds and swirl mark removers. 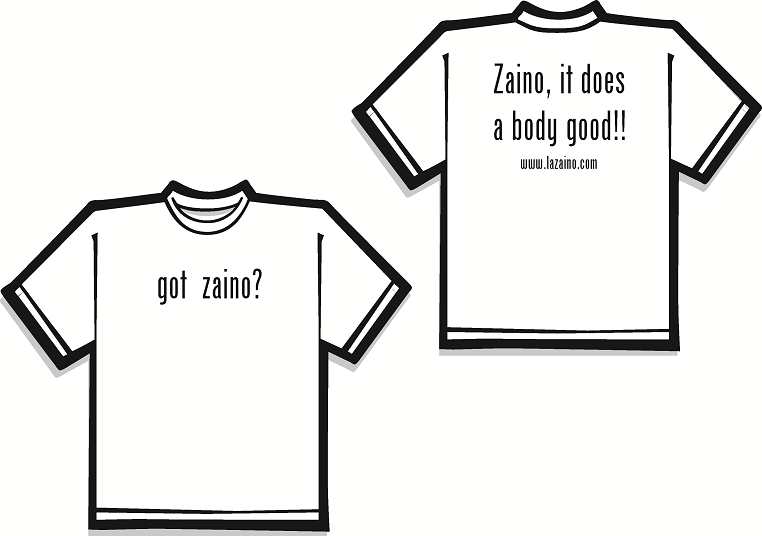 Got Zaino? shirt. Please specify small, medium, large or XL in the notes. Limited quantities. Rear: Zaino, it does a body good!! Customers placing orders that will be shipped outside of those states or the US, please contact us for shipping rates. If you're claying a lot of cars, Speedy Surface Prep is the answer. Feel free to contact us about these products when placing an order. Look for these products to appear on our website very soon.